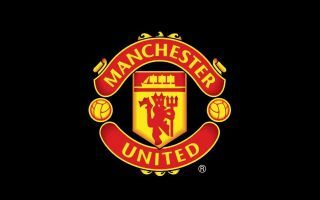 Manchester United look one of the favourites to seal the transfer of Tottenham attacking midfielder Christian Eriksen. The Denmark international has long been linked with a move to La Liga with either Real Madrid or Barcelona, and Spanish outlet AS state he’s set to surprisingly snub a new contract at Spurs. This news gives hope to long-time admirers United, whose odds have fallen to just 14/1 to be Eriksen’s next club, though the two Spanish giants remain ahead in the running. If you’re thinking of taking a punt, BetOTG – Bet on the Go specialise in hedged betting strategies which has produced decent returns in 2018 for their +6K subscribers. Join the banter and take advantage of their weekly recommendations and offers. According to Oddschecker, United are some way ahead of Manchester City (25/1), Liverpool (33/1) and Chelsea (50/1) as a potential Premier League destination for Eriksen. Christian Eriksen to Manchester United transfer on the cards? The Red Devils could certainly do with an attacking player of his calibre as a long-term replacement for Juan Mata, whose future is also in doubt as he nears the end of his contract. This is a huge blow for Tottenham at a time when they also risk losing their manager Mauricio Pochettino to MUFC at the end of the season. Various reports suggest Eriksen would cost around £79million – a bargain for a player of his calibre and a price that could still fall the nearer he gets to the end of his contract.